Rumours about the Nikon D600 full-frame DSLR have been doing the rounds lately, but the Canon rumour mill has been a little quieter concerning both a new full-frame camera and a replacement for the ageing Canon EOS 60D APS-C model. Rumours now suggest that Photokina could see two new DSLR models launched by Canon in both the full-frame and APS-C format markets. 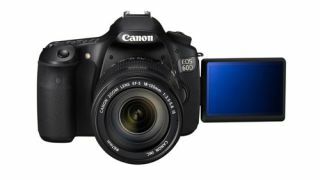 Firstly, the Canon EOS 60D looks set to be replaced by the Canon EOS 70D. Technology from Canon's top-of-the-range cameras is normally quite quick to trickle down to consumer models. The indications are that the 70D will be no exception, with a better-constructed body, more professional features and improved performance and speed. Alongside the 70D, some think that we can also expect to see the new Canon EOS 7D Mark II, an entry-level full-frame DSLR packed with features at an attractive price. So why the sudden interest in full frame cameras again? For many people, APS-C/DX sensors offer more than enough performance. Historically the cost of manufacturing large silicon wafers and producing big image sensors has been prohibitive. This was something that goes way back to the dawn of digital cameras, when the technology was brand new and the failure rate of silicon chip production was high. Fast forward a decade or so and that whole rationale is changing. The production of digital camera sensors is reliable, cheap and highly advanced. Because of this, DSLR manufacturers are starting to look again at full-frame cameras for the mass market. Originally, DSLRs were more-or-less standardised around the APS-C chip. Considerably smaller than a full-frame sensor, the size of a conventional piece of 35mm film, the APS-C sensor caught on because it was cheaper to produce. A whole set of lenses grew up around this new standard, and optics were refined and engineered to squeeze every last drop of performance from the format. Now this could all be about to change. Since many users of APS-C DSLRs choose to switch to mirrorless and compact system cameras (CSCs), so the manufacturers of DSLRs are looking to shift the remaining users of DSLRs up to full-frame models where there is a bit more profit to be made and more lenses to be sold. So, perhaps we can expect to see more full-frame technology at a lower price point offering improved low-light performance, better depth of field control and some new lenses to tempt us.